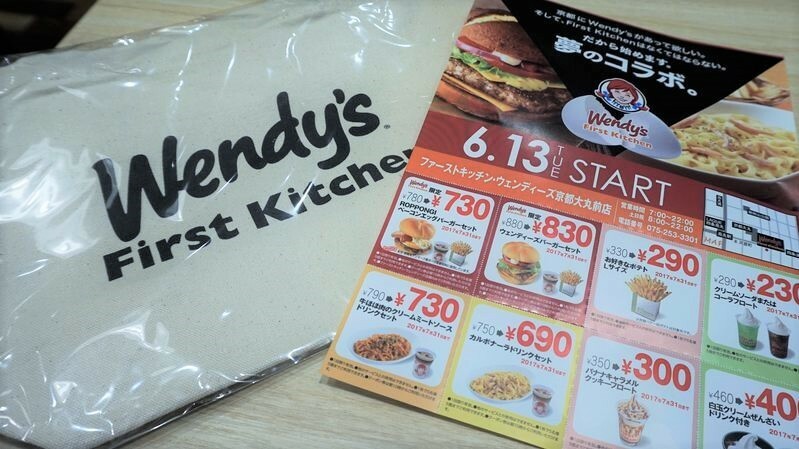 Wendy’s is back in Kyoto together with the Japanese chain First Kitchen. 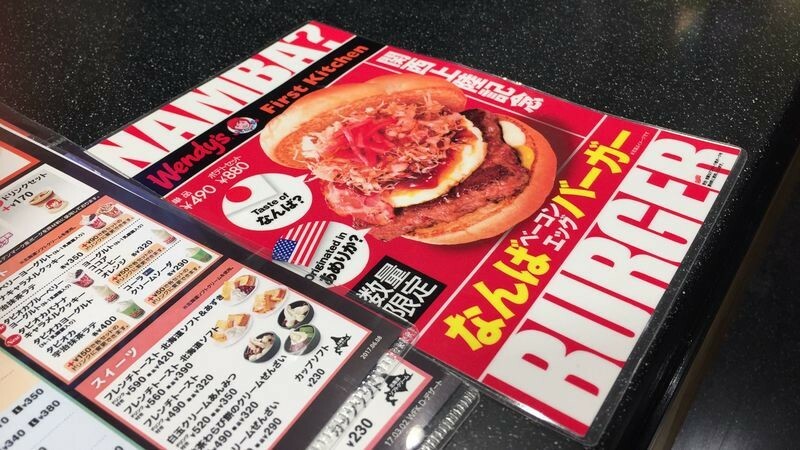 Which one offers better burgers, the American or the Japanese fast food chain? Starting with a picture of me and Vanessa with a girl cosplaying as Wendy, a bit about this burger chain in Japan: Wendy’s didn’t seem to be doing very badly in Japan last time they were here, but that time around they were also competing with their prices. They had a 99 yen including tax menu, whereas the Wendy’s we have in Kyoto now sells most of its burgers around the 500 yen mark. Because this was the first day the restaurant was open, we got a rather cool canvas bag for our troubles. 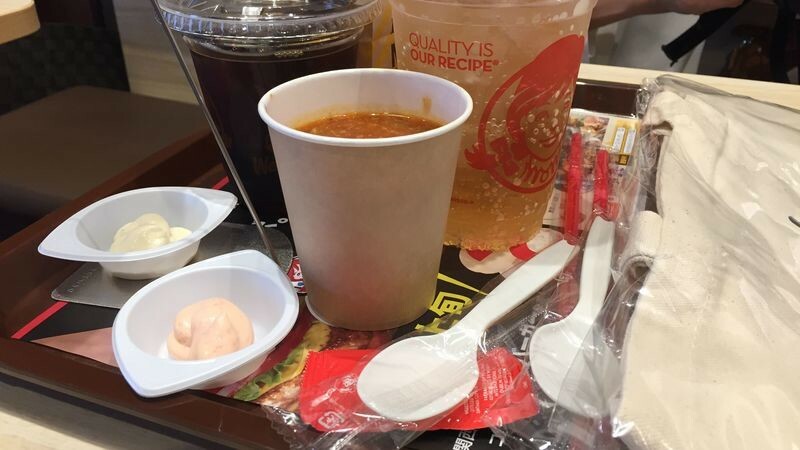 Ordering is quite a normal process, though because this restaurant is not only a Wendy’s but also a First Kitchen their French fries are flavored with spices such as BBQ and chicken bouillon. 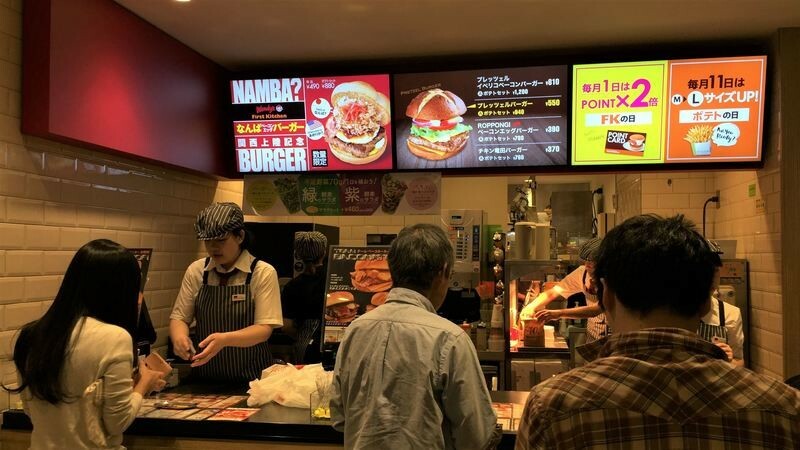 Plus, they also have a Namba burger from Osaka: it tastes like okonomiyaki! 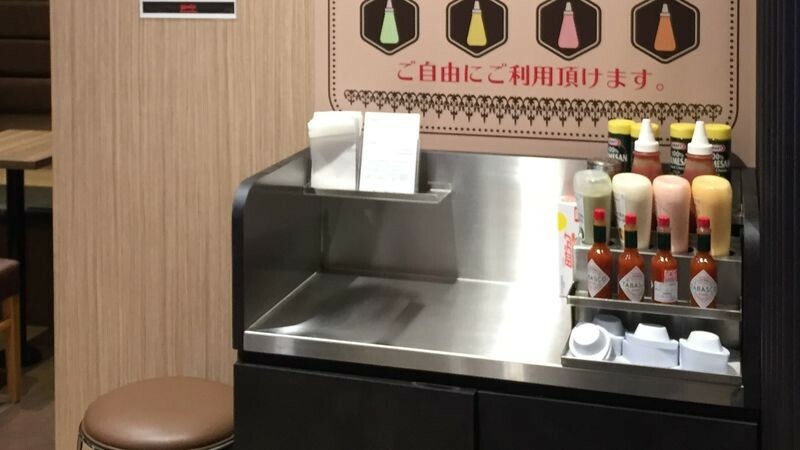 And because it is a First Kitchen too you get not only ketchup but also four different types of mayonnaises with your fries such as garlic and cheese. 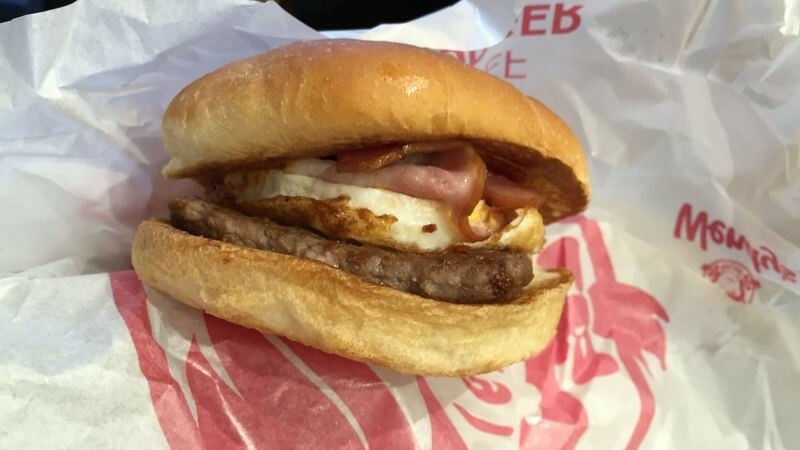 So here are today’s contestants: A “Roppongi” bacon and egg burger from Japan, and a Wendy’s burger. The Roppongi was a bit flat tasting, it tasted like it was missing something, maybe a piece of cheese, onion, or lettuce, or of all three of these. Whereas the Wendy’s burger was juicier thanks to the vegetables, and with the nice beef patty it almost tasted fancy. So, it was easy to declare USA the winner in this battle, but the combination of America with Japan worked the best with the fries; the garlic mayonnaise was a perfect companion to the fries and the burger. All in all, this is a nice addition to the burger-scene in Kyoto, and a nice place to visit for those who want to taste something reminding them of home with a Japanese twist. Though the flavored French fries with the garlic mayonnaise was a bit too salty of a combination, so if you want to just enjoy the mayonnaises maybe just get plain fries. P.S. 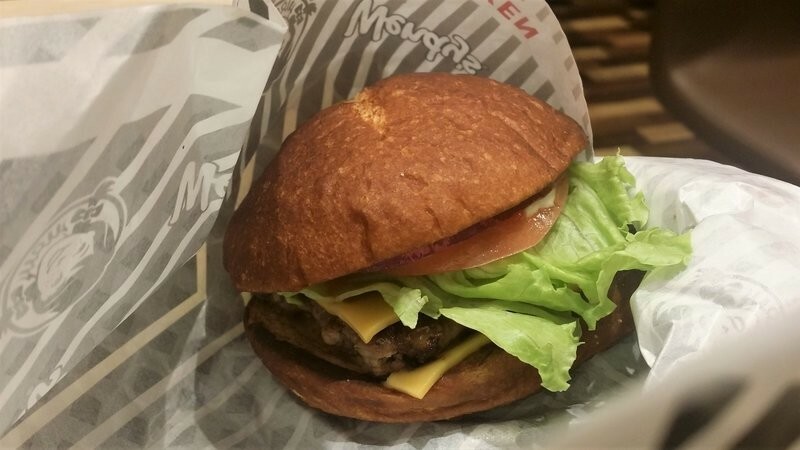 They also sell pretzel bun burgers at this Wendy’s First Kitchen, and these buns circumvent one of the biggest problems of Japanese burgers: the fluffy and tasteless buns. 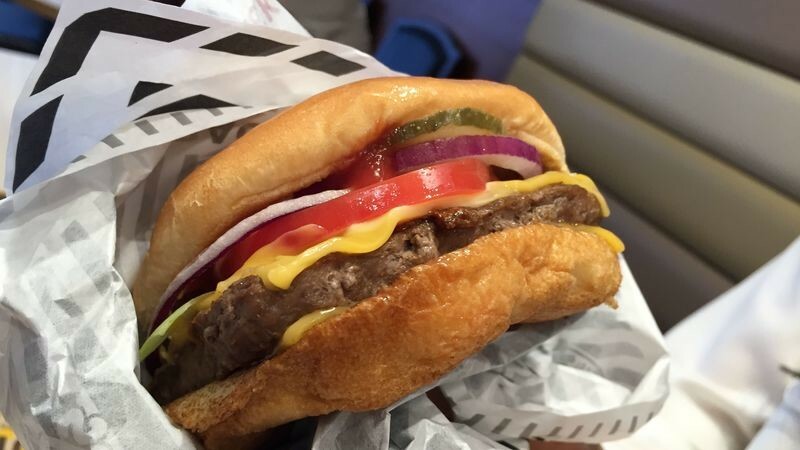 It is really nice to get to eat a burger with a tasty bun once in a while. 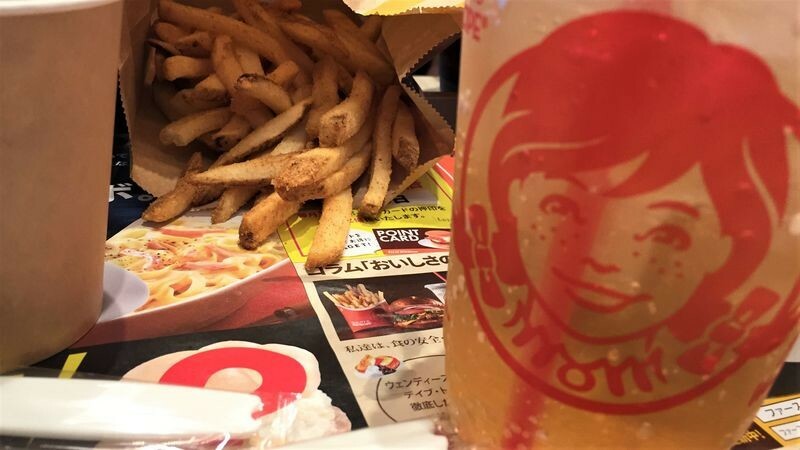 Wendy’s is back in Kansai! I don’t normally eat fast food, but even I have to say that the juicy beef and the crisp vegetables made the burger taste very good. I also like their French fries, they have many different flavors, and they are just the right crispness.